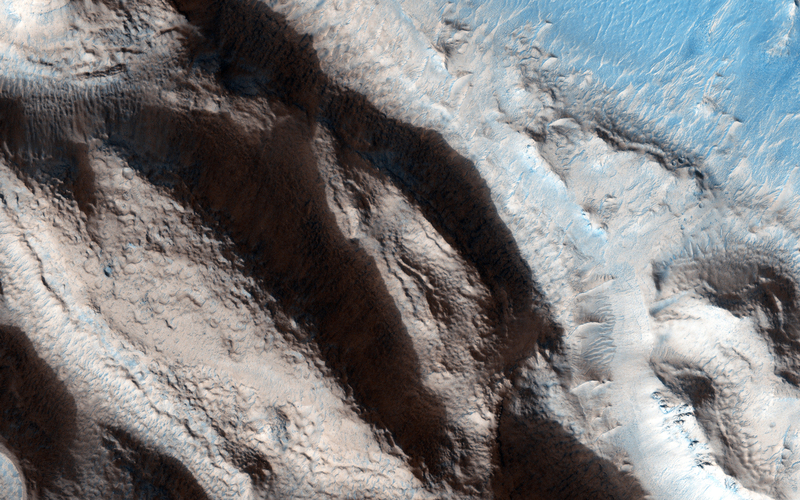 This relatively fresh, shallowly incised valley was once filled with water and/or ice and flowed to the west toward a large, local depression in northern Arabia Terra (36.5 degrees north, 0.3 degrees east). 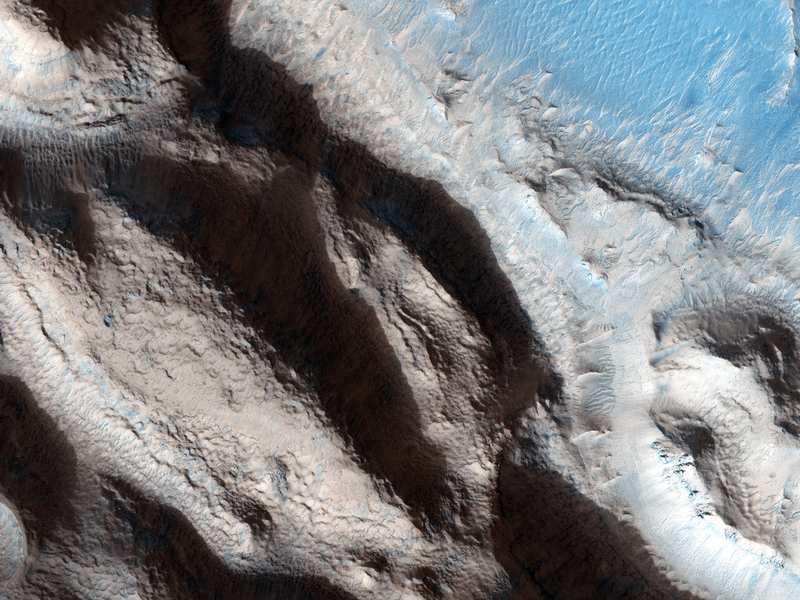 This type of valley is younger and distinct in appearance relative to the ancient valley networks that formed in the Martian highlands. Most fresh, shallow valleys like this one often appear as scattered and isolated or sparsely branched networks of individual valleys in the mid-latitudes and equatorial regions of Mars. 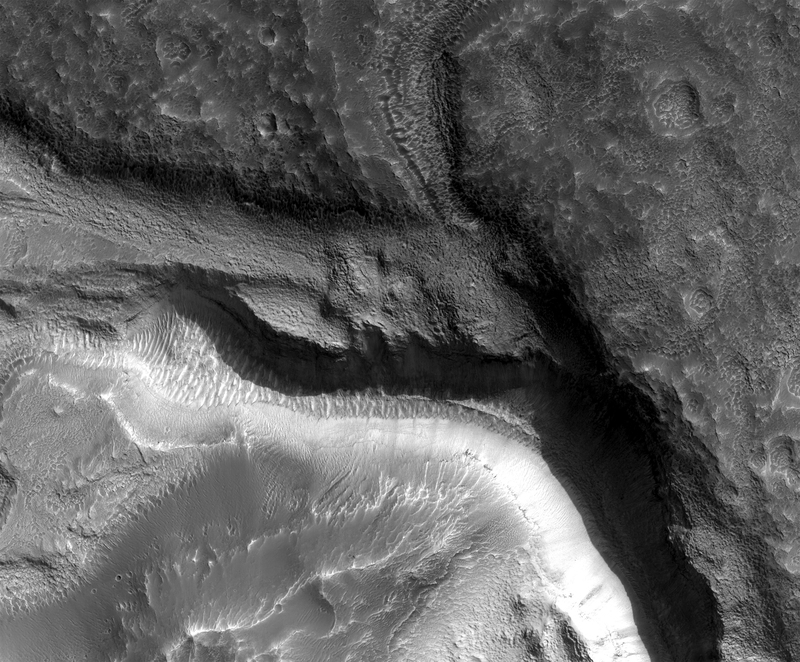 The floor of the channel within this broader valley is covered with light-toned transverse aeolian ridges (3 kilometers across). This is a stereo pair with ESP_048792_2170.